Mr: Honey, your playing was beautiful. I was reminded as to why I married you. Mrs: You need reminders, huh? Boy: Blog it! Blog it! Blog it! This entry was posted in Marriage and tagged A Holistic Journey, Family, Holistic Wayfarer, Humor, Life, Love, Men, Music, People, Piano, Relationships, Social, Wife, Women. Bookmark the permalink. 🙂 Sounds like our house! Happy Weekend to you too! 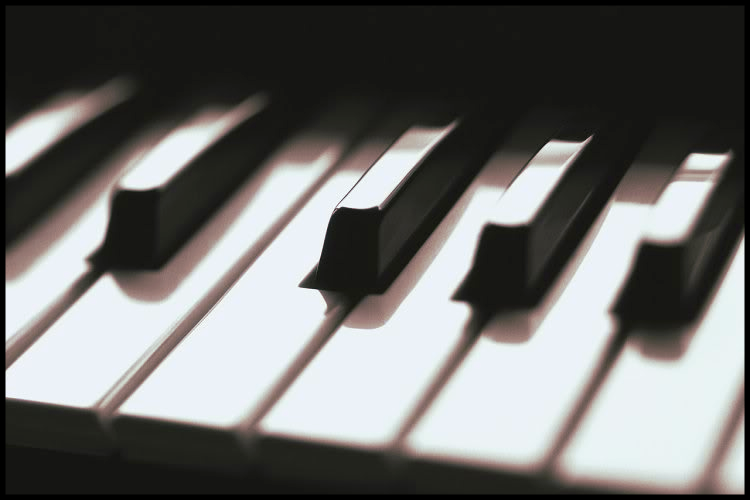 Love the photo of the piano keys! Thanks. Enjoying your site again. It’s fab. Thank you Diana. That is how we feel about your blog. it is inspirational. So so sweet. Thanks so much for the support. Yes! The photo caught my eye too! Then the words made me smile. Guess we all need reminders for all the important things. *smile* You said it, MM. Sad that is so, but better late w/ the remembering than never! Absolutely. Have a happy weekend. Yes, ‘smile’. It is a curve that makes so much straight. Heh heh heh. Haveta say he is. =) Thx. Spouses need to recognize the substantial risk they take in antagonizing their blogging partners. We are not to be trifled with. RoAr!! Now WHY haven’t i made more strategic use of my playing which works like a spell on the man? THANKS!! Veritably brilliant. Ha ha ha. Yes. Yes. If I don’t remember,my wife just whacks the side of my head! too funny but so true in my life right now..so glad you did this, nice…. Oh, I have MISSSSSSed the blogging!! Awesome. Of course, it’s very close to Portuguese, so it shouldn’t be difficult at all. I listened from my phone and for some reason I was unable to like from there. That’s why I’m commenting here. I would like to think blossoming talent… But I don’t follow the grammar. I just write from my heart. Nonetheless, thank you!!! Lovely photo you shared. Very cute of you and the man. How can anyone not like music from a piano… 😀 Have a good weekend, D! I doctored the photo just a tad. Thanks for the greeting, M. Hope you manage some ReSt this wknd!! in this case, it’s to be hoped, that you don’t have a memory like an elephant…your husband has it definitely not, lol. He most CERTainLy does not. (But in all fairness that is a saving grace – that he remembers not my transgressions.) LOL. Sweet…nice to hear those words…cause sometimes we do get caught up in the hectic lives we lead..and BOOM…there it is …that overwhelming, wonderful sensation of love. Very sweet…..have a good weekend you too! Too funny! I remember when my oldest son was a pre-teen, he would recite “Dad’s love notes to Mom.” The real love notes from before we were married are all tucked away in a hidden place (because I’m sure my husband would pitch them away at this point.) Of course, my son made up all the words. It was hilarious to hear my son. I would crack up, but my husband would get mad. “The real love notes from before we were married are all tucked away in a hidden place (because I’m sure my husband would pitch them away at this point. )” LOL!!!! “Of course, my son made up all the words. ” How adorable!! Oh, you were right to laugh, Deb. You know, those moments are irreplaceable. I loved this vignette. Thanks. Haha. So cute. My husband always says stuff like that. I laugh at him. He knows he’s lucky! 🙂 Love your new photo. Hey Diana, nice to see your post! How are you doing? All fine? Yep. Just swimming through these comments – and juggling the homeschooling. Thanks, and I hope things are well over there. Ya! Just good. Thanks for the reply! Heh heh. But it wasn’t your piano-playing…it was the twerking, right? LOL!! Men do say the oddest things! “gotta blog it” Too true. Best post i ever found. Nothing like polishing, no manipulation, nothing like overdose of philosophy, simply truth with open minds. Very sweet, Aud. =) We had a blast. I love hearing my wife play as well, and often mention how beautiful it sounds. Keep playing, and keep blogging! Keep at it. Cannot wait to see more of this. LOL. Perhaps your altruism stirred a fairy tale post over there… =) And yes, when it gets Man vs. Wife, he needs all the help he can get. Heh heh. Ha ha ha, again you beat me to it. I am going to mention this in a post – another dialog snippet between me and him. LOL. HA ha ha. Mom and Dad are perfectly imbalanced that we balance each other. =) Thx for lending your ear here, R.
all i could do while reading is smile. cute post…. Lol… great that your family supports you and recognizes your gifts. And as I just said in my last comment on your last blog post- kudos to the pianist! Just wonderful. =) You guys still play, I take it? Thx for sharing. I’ve spent a little time in that uncomfortable space. Fortunately my own wife, like you , showed a bit of mercy for my graceless speech. This gave me a laugh. Thanks. Ha ha ha ha. We gotta laugh (so we don’t cry)! This is wonderful, and … I cannot explain this … the word “elegance” emerges for me as I read this post. Maybe I see elegance (not for the first time) when there are two people who love each other, talking to each other … about almost anything. Eh…that’s not quite the word in my book for this one, LOL, but thank you. Been wondering how you’re doing. =) Will be making my rounds after I get through the bday wk for the little man. Reblogged this on Made In Middle East.